The 2015 Chevrolet Malibu and Ford Fusion are two of the most popular midsize sedans on the market today. Both are known for their high standards in safety, convenience features, and passenger comfort. But which is the best ride for you? Read our side-by-side comparison and decide for yourself. With its upscale cabin and comfortable seating, the 2015 Chevrolet Malibu is our pick in this category. The cabin impresses with its two rows of spacious seating. Well-shaped seat cushions give passengers the comfort they need on long commutes or road trips. The optional power driver seat makes it easy to find the perfect spot behind the wheel. The central control layout is intuitive and easy to reach. The 2015 Ford Fusion isn't far behind in terms of comfort. It's easy to maneuver the driver seat into the perfect position behind the wheel. Although the ceiling slopes down over the rear seat, average-sized passengers should have plenty of headroom. The 2015 Chevy Malibu has the edge in this department, offering both a well-stocked entry-level model and some luxurious upper trim models to boot. The base LS saves time with keyless entry and full power accessories. The standard OnStar telematics system comes with a 4G LTE Wi-Fi connection so passengers can browse the Web from anywhere. The line's luxurious LTZ increases comfort with leather upholstery. Shoppers can also add a wide range of standalone options to any model. A navigation system guides drivers through unknown territory. 2015 Ford Fusion shoppers get to choose between three trim models. The base S delivers all the basics, including full power accessories and voice-activated Sync audio and smartphone technology. By the time drivers get to the upscale Titanium, they're enjoying remote start and keyless ignition and entry. On the road, the 2015 Ford Fusion takes a slight lead. Its steering is highly responsive, sailing effortlessly around twists and turns. The ride is quiet and comfortable; passengers can enjoy a hushed cabin even on highway drives. The 2015 Chevrolet Malibu also has many strong points. To start, its 2.5-liter four-cylinder engine is among the strongest base engines in this segment, producing a hefty 196 horsepower and 191 pound-feet of torque. The optional turbocharged 2.0-liter four-cylinder engine is even more powerful, making 259 horses and 295 pound-feet of torque. Both engines are quiet and the Malibu's suspension creates a smooth ride. The 2015 Chevy Malibu earned a perfect five stars for overall protection in government crash tests. It also offers a wide range of high-tech safety equipment, making it our pick for safety. All models are equipped with OnStar telematics, which includes automatic crash notification and on-demand roadside assistance, effectively helping drivers out of unexpected jams. Available systems like forward collision warning and blind-spot monitoring increase driver vigilance. 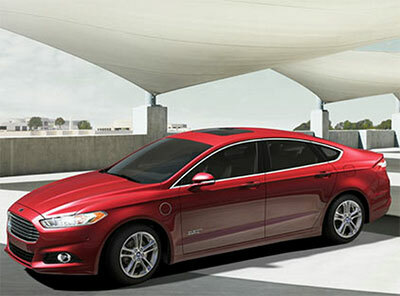 The 2015 Ford Fusion is close behind, with a five-star overall protection rating from its own government crash tests. It has a few high-tech systems as well, including Ford's MyKey, which allows drivers to set speed parameters for teen drivers. Optional equipment like driver drowsiness detection keeps drivers sharp. Although the 2015 Ford Fusion has much to recommend it, we prefer the 2015 Chevy Malibu. Its high-quality cabin treats passengers to spacious seating and high-tech luxury features. On the safety front, it's got everything drivers need to remain vigilant. On the road, the Malibu delivers fuel-efficient power.